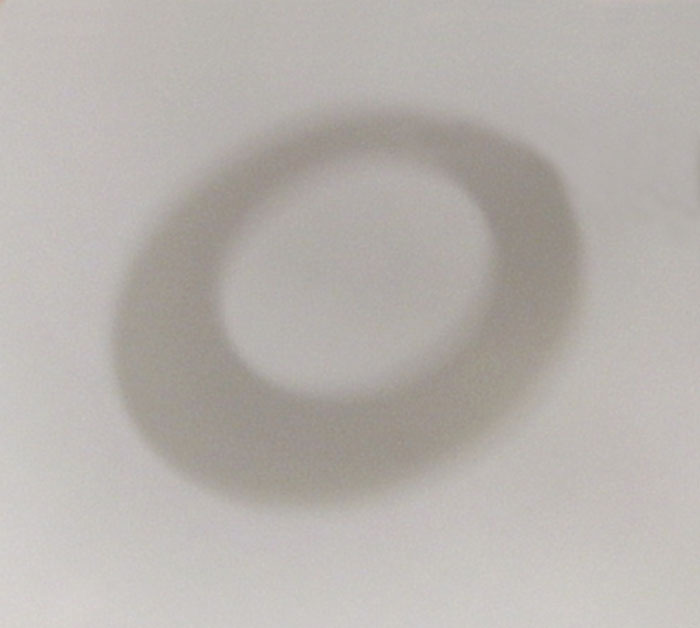 The 'Ring A Day' book is available at Lark Books. 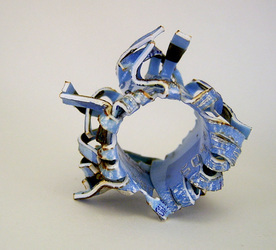 As a tie-in to the annual SNAG (Society of North American Goldsmiths) conference, PUNCH Gallery in Seattle presented this totally RAD (Ring a Day) exhibition showcasing 365 rings, accompanied by select photographs to illustrate the diverse, creative and inspiring rings artists have made from Day 1 to Day 365. 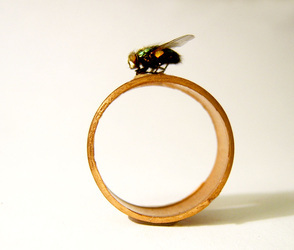 The exhibition features 65 international artists with work ranging from ephemeral and conceptual art rings to functional jewelry in both alternative and classic materials. 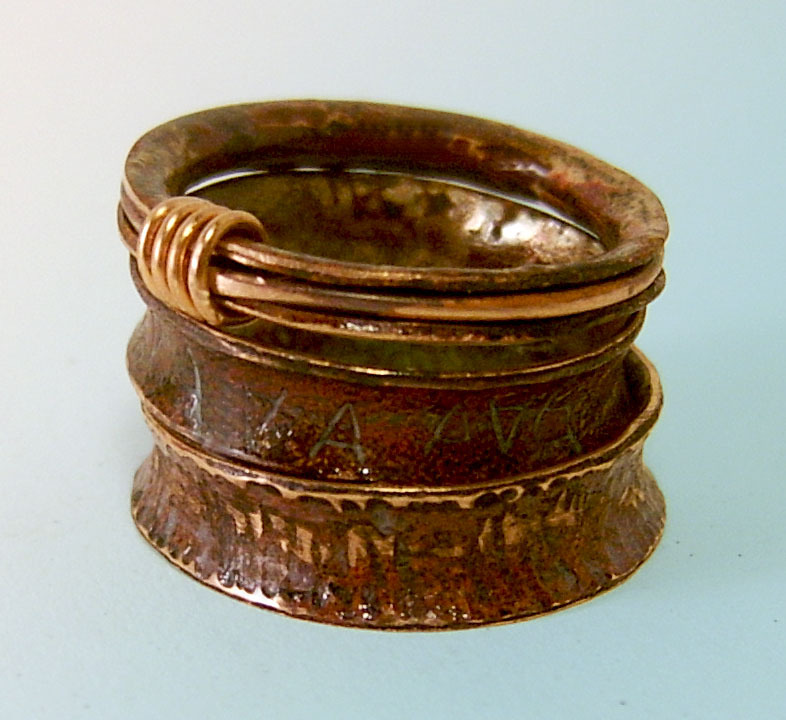 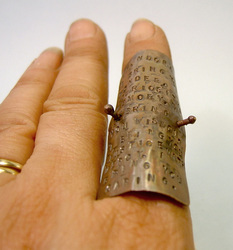 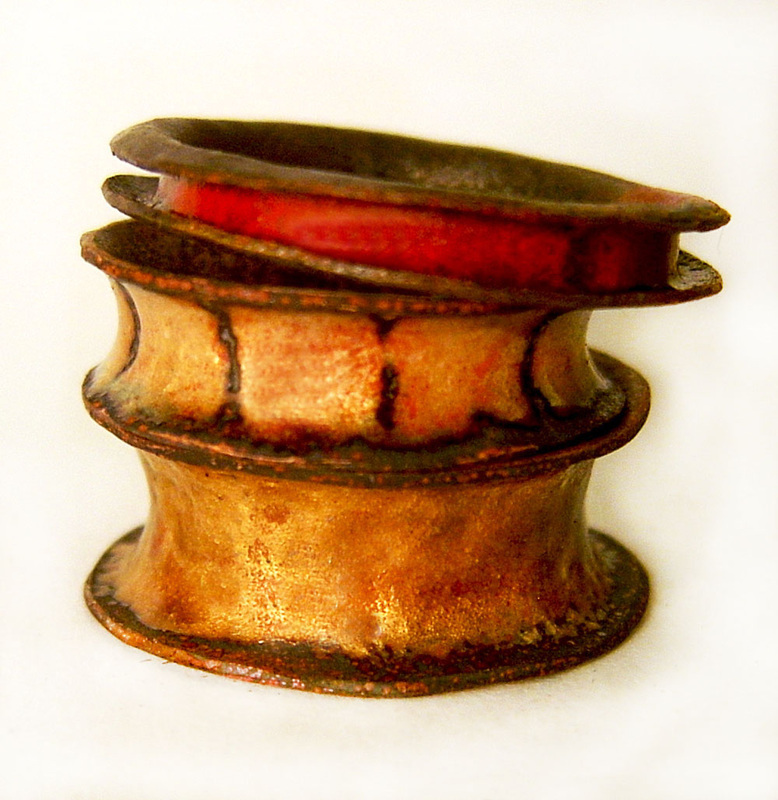 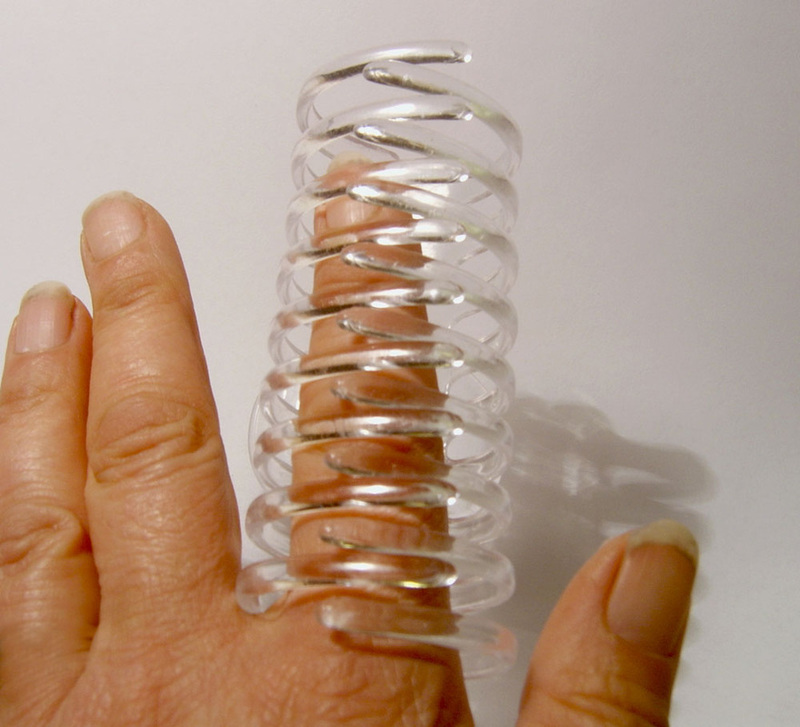 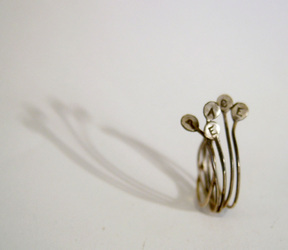 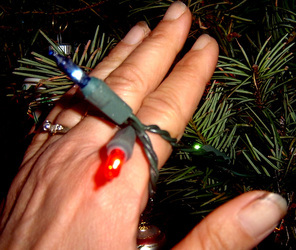 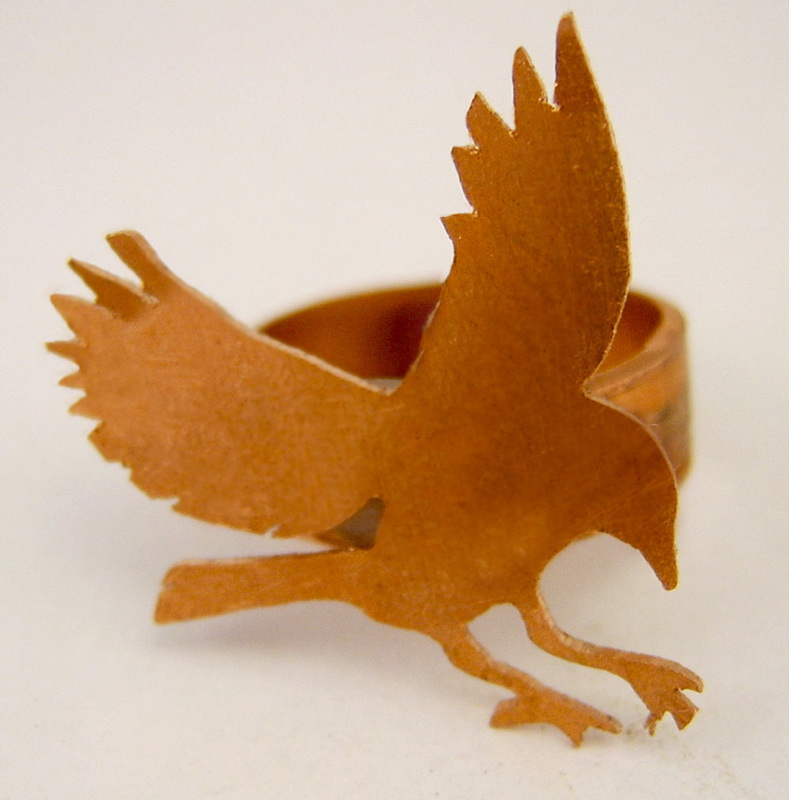 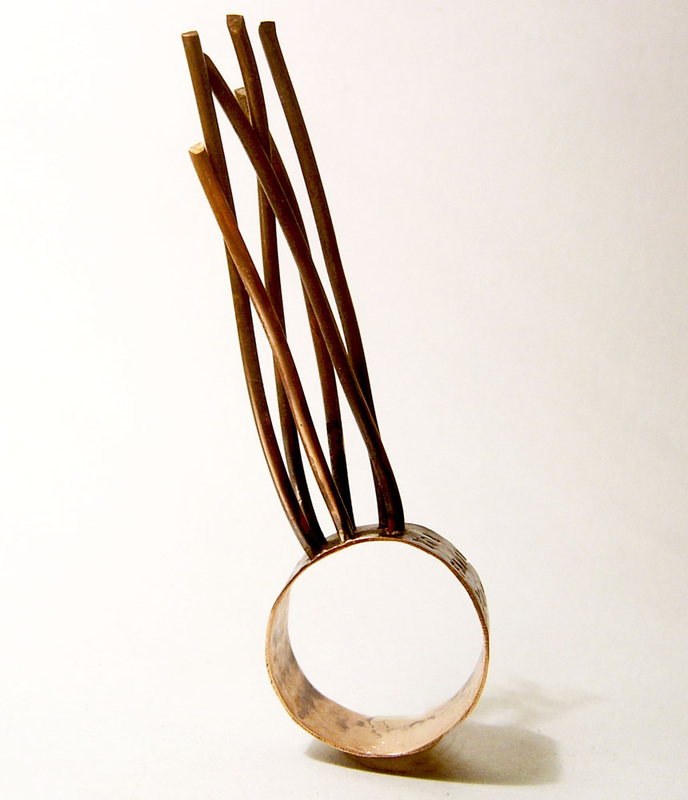 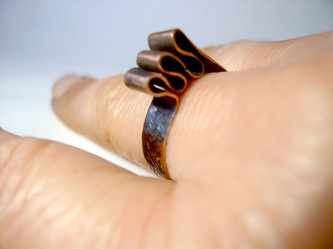 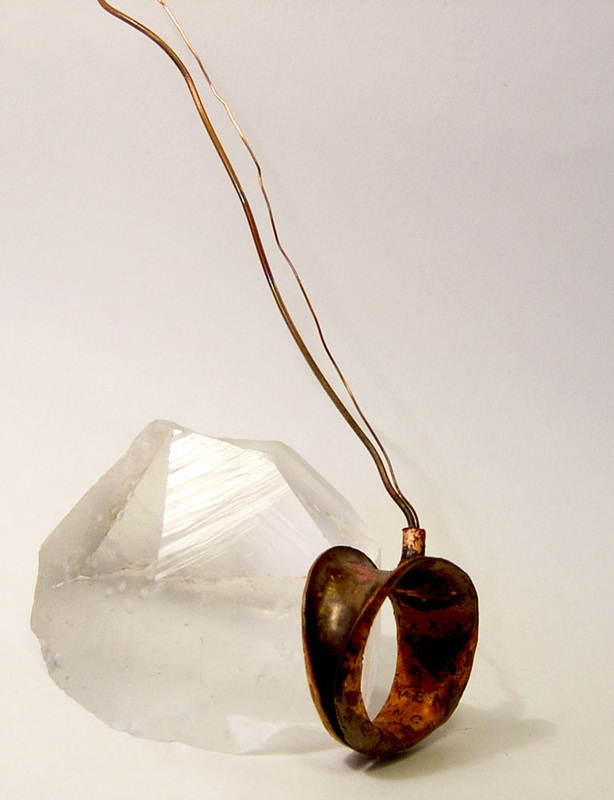 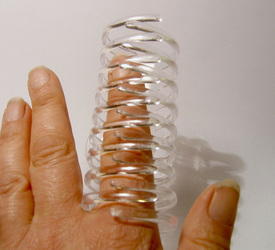 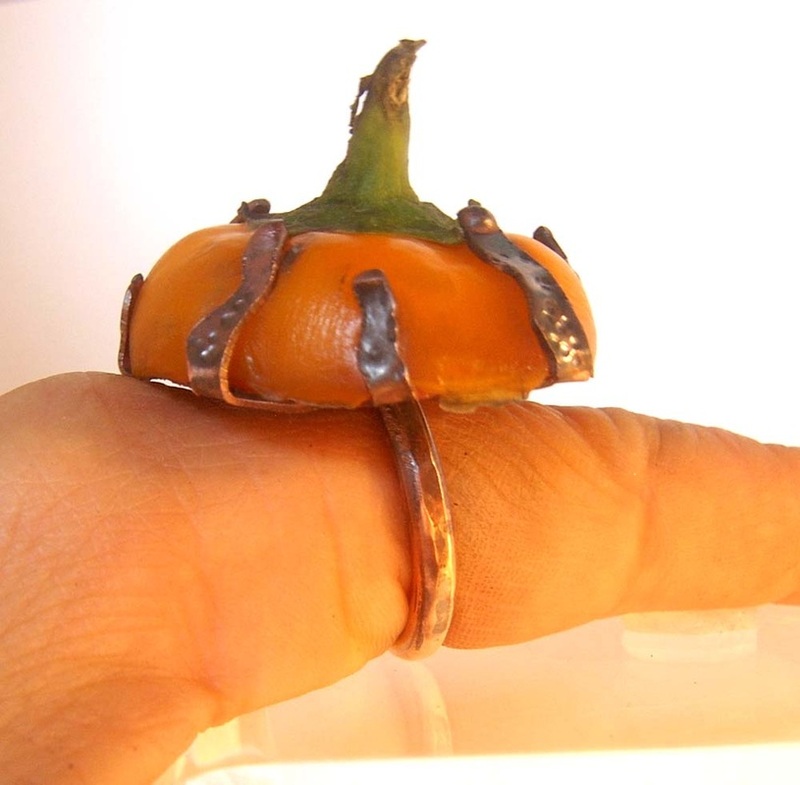 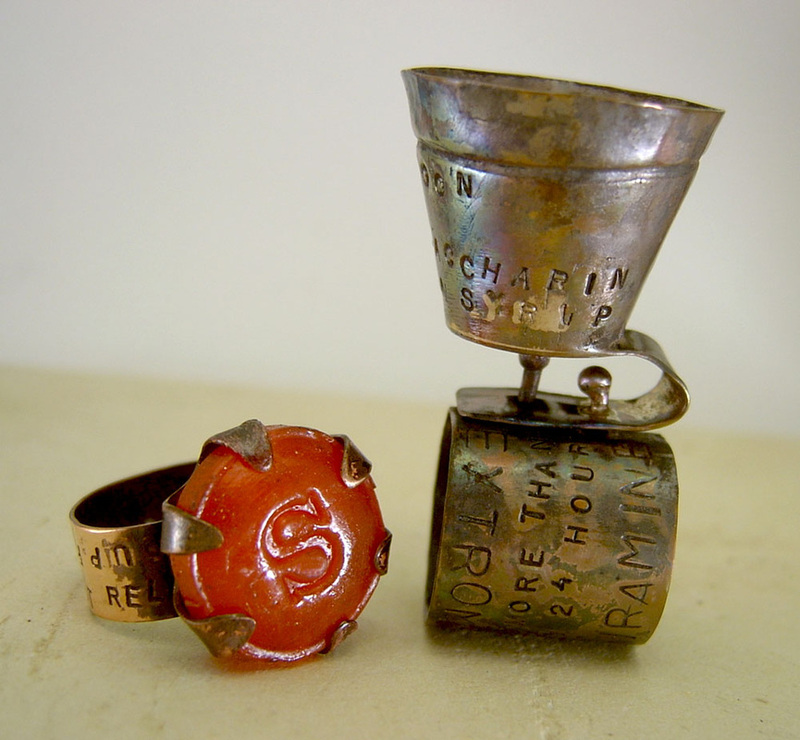 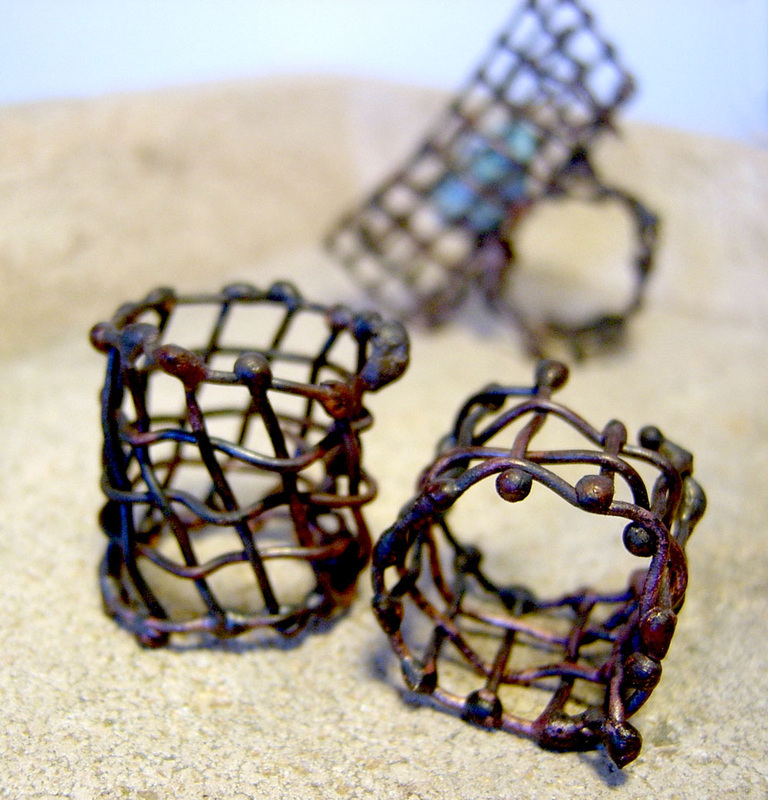 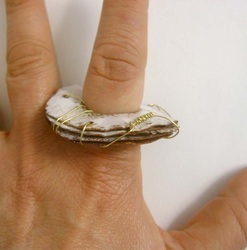 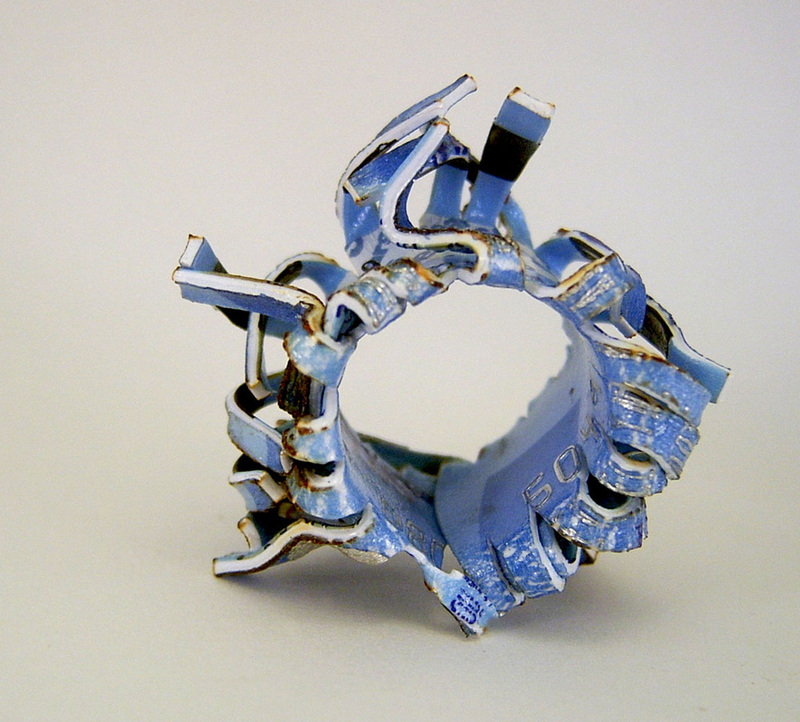 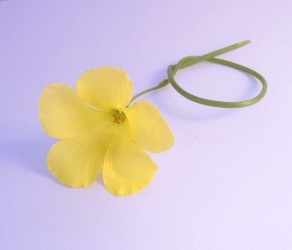 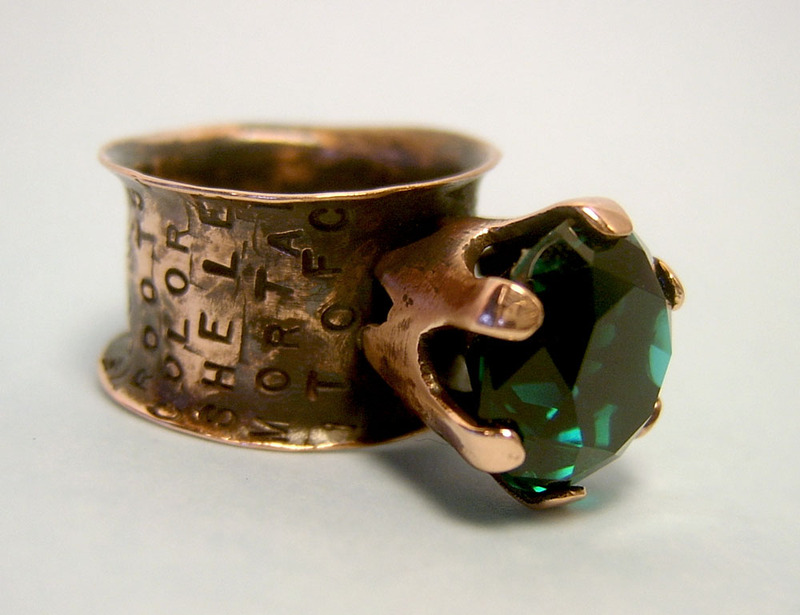 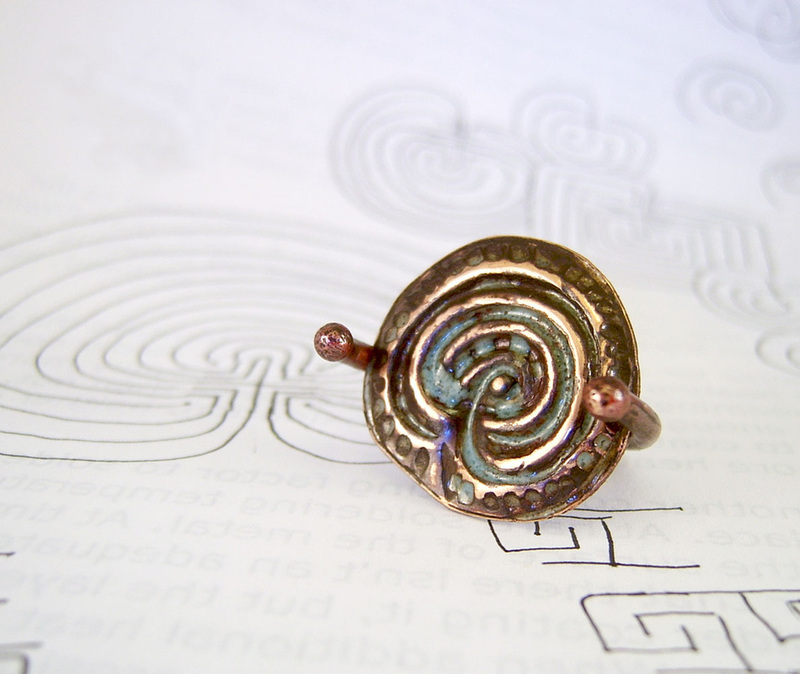 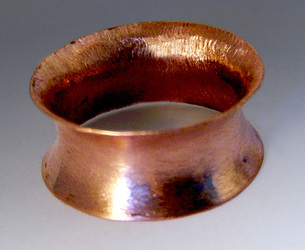 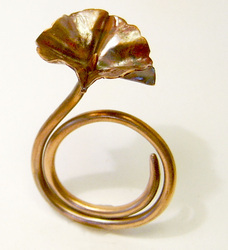 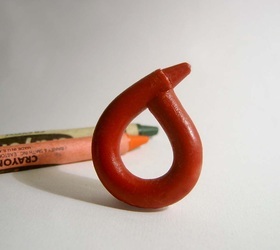 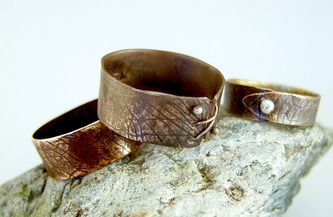 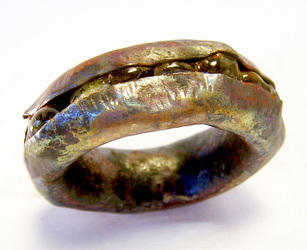 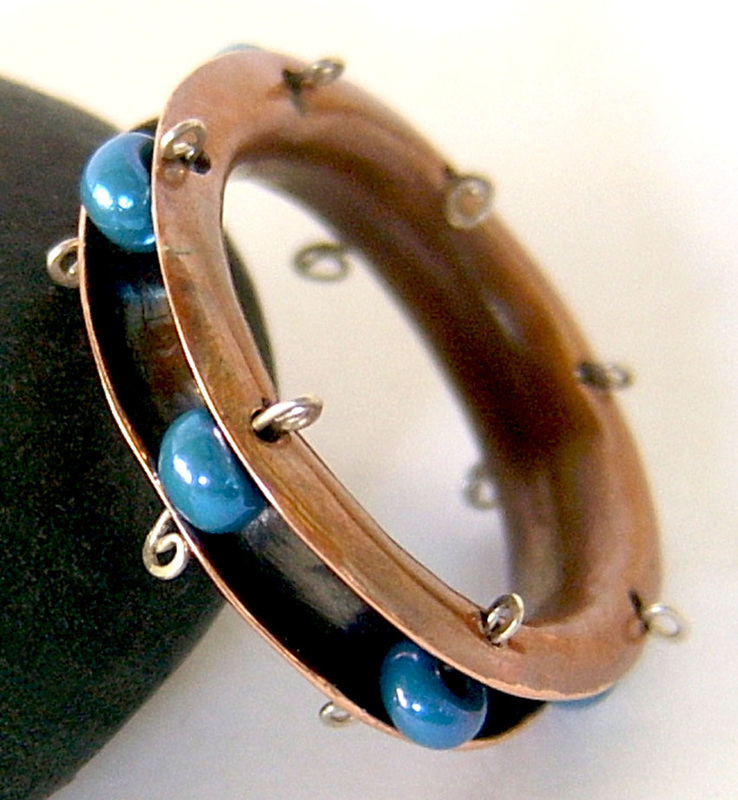 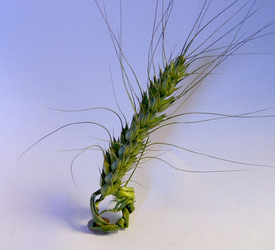 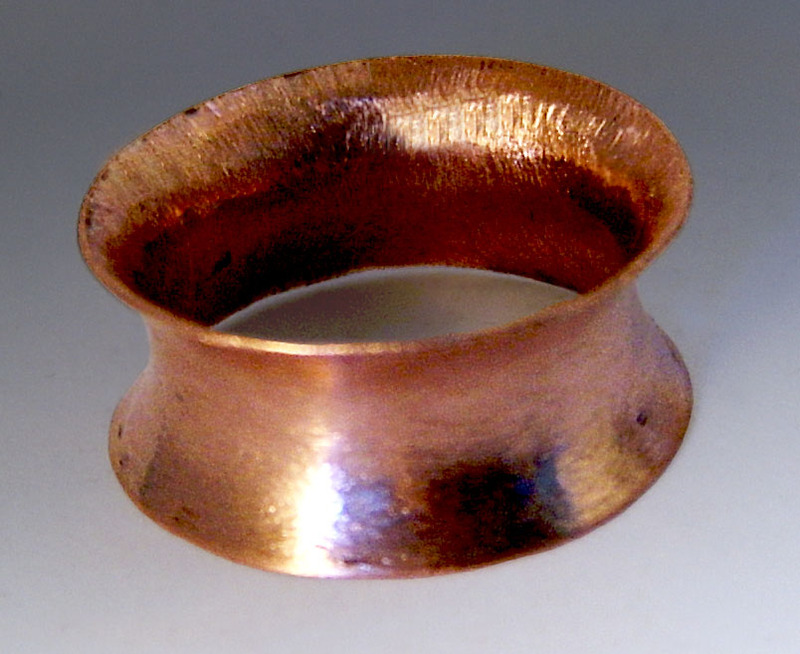 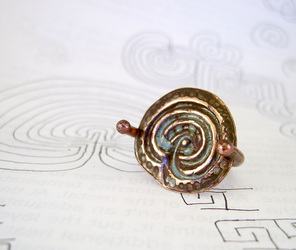 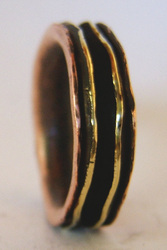 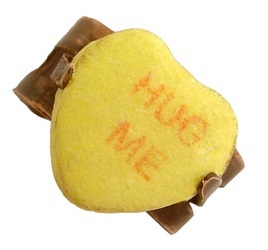 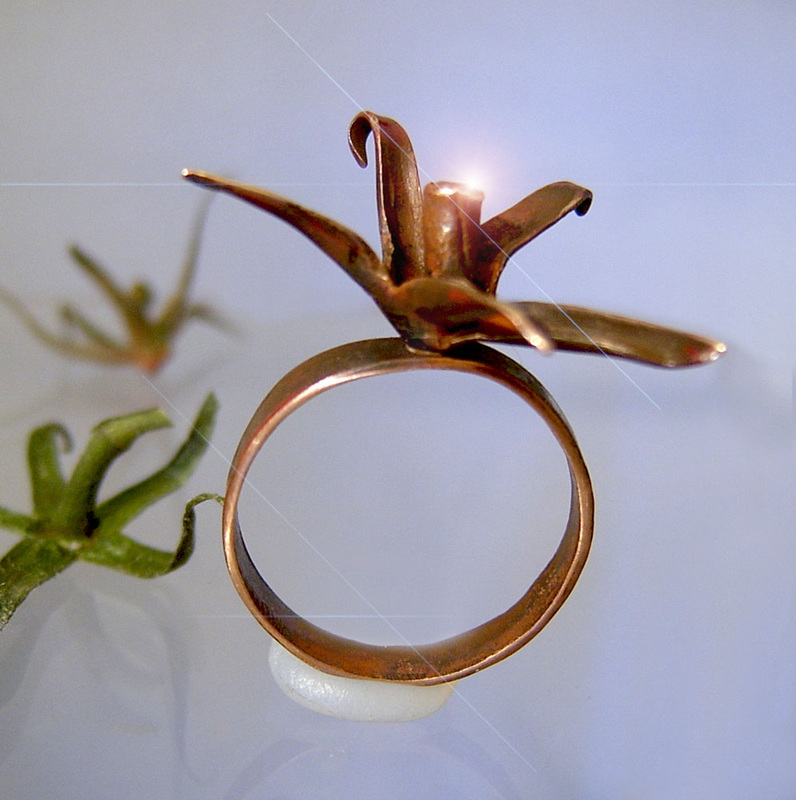 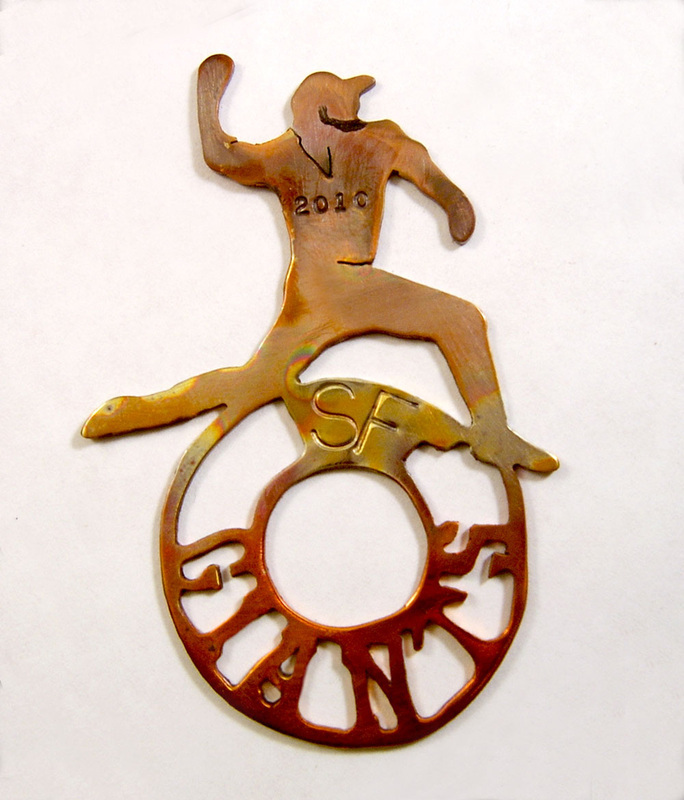 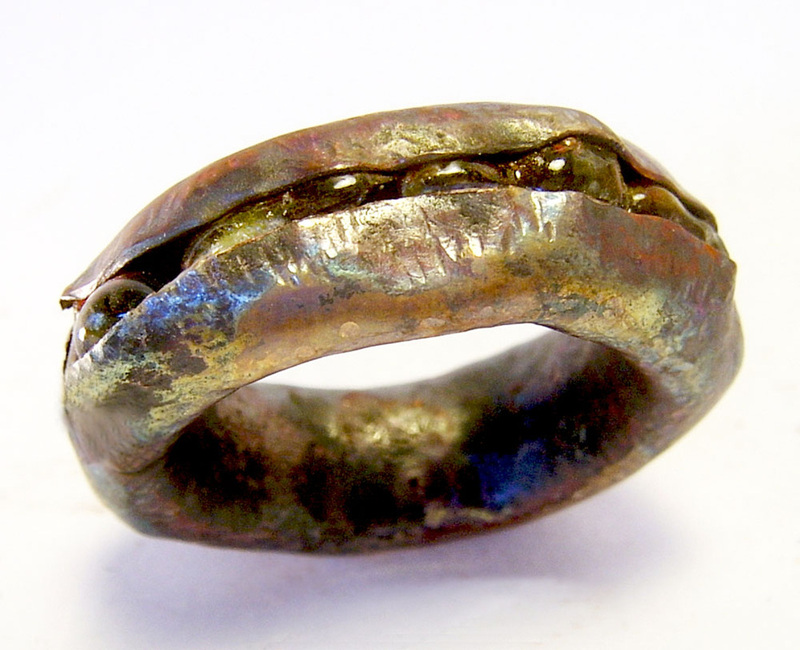 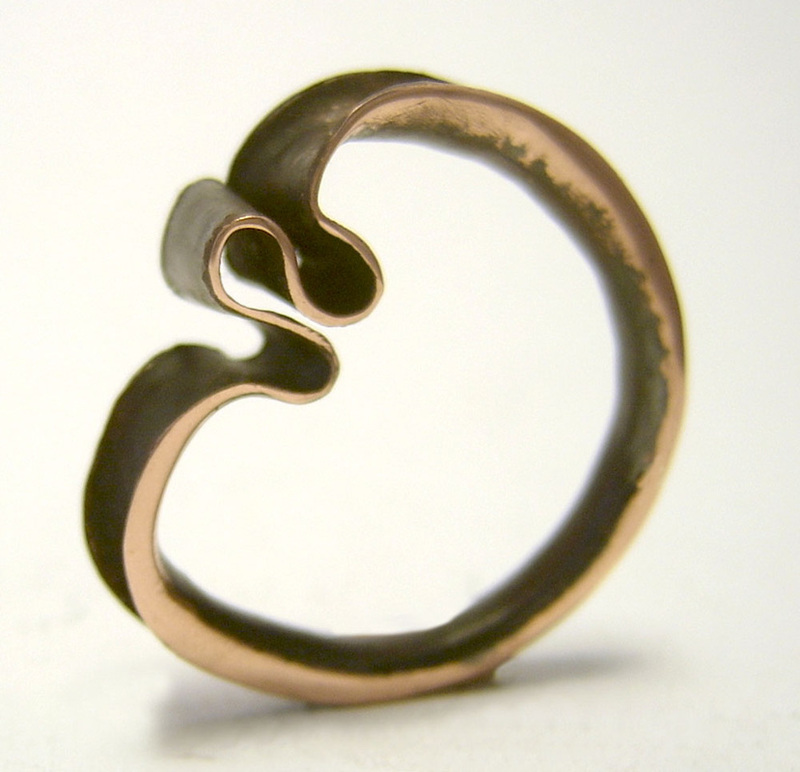 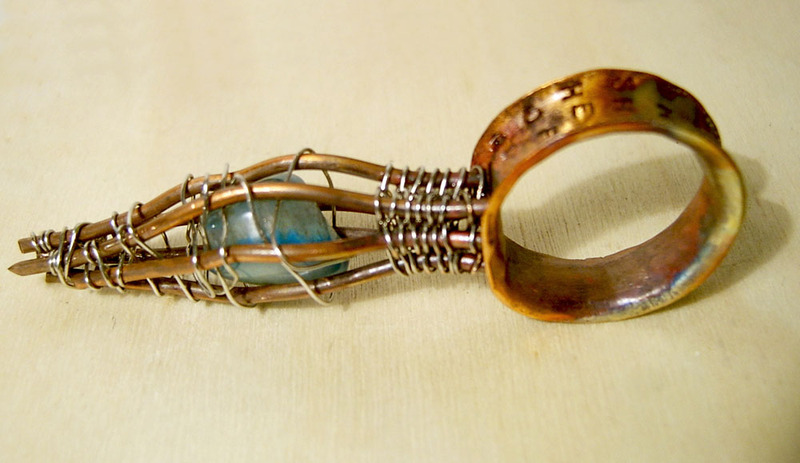 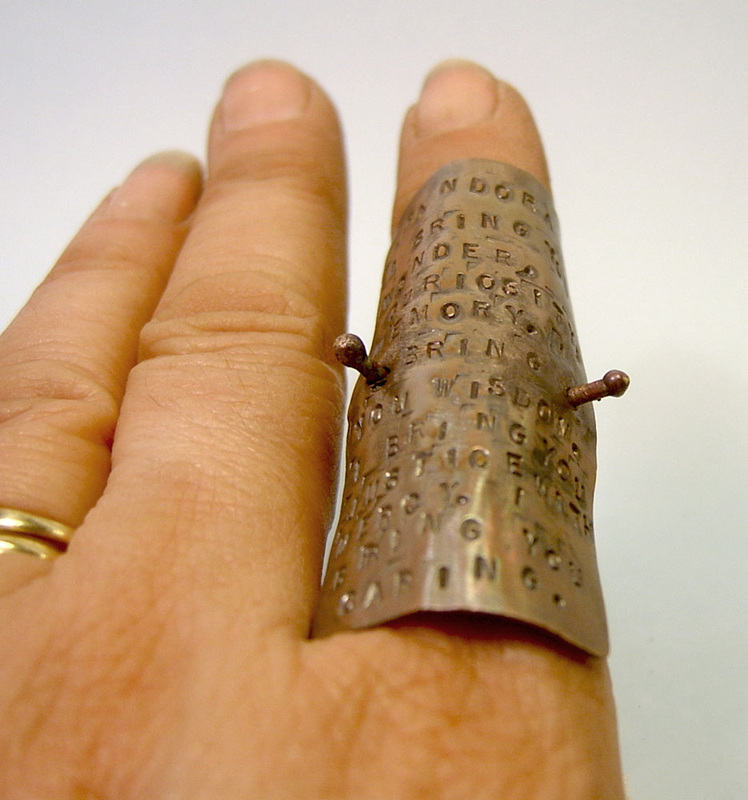 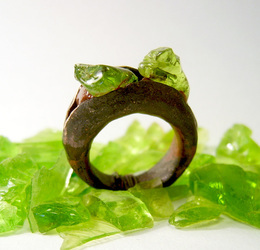 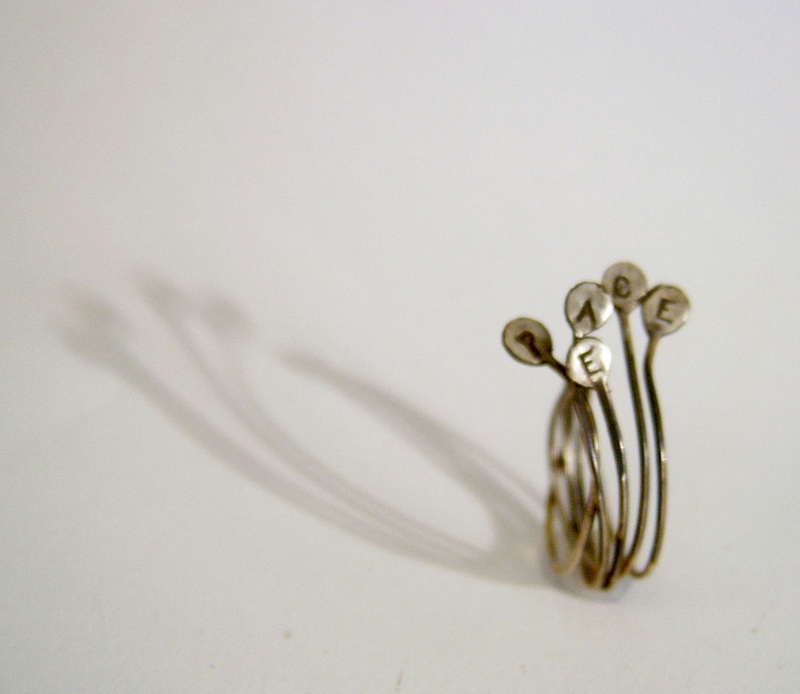 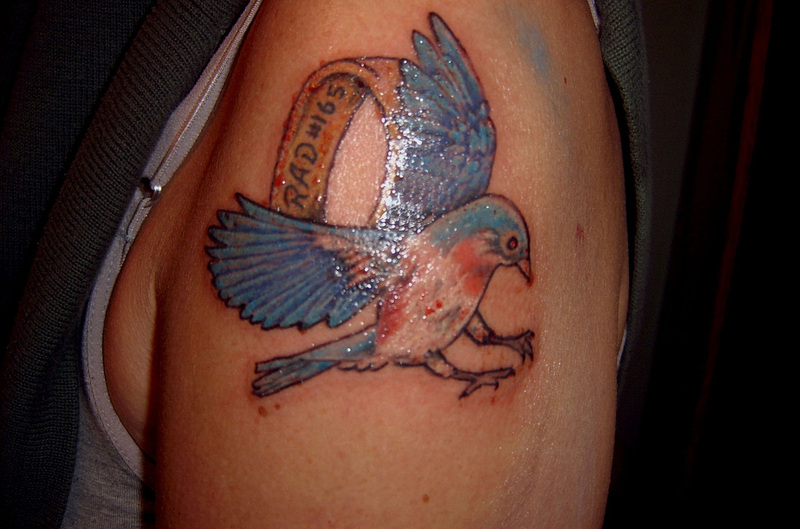 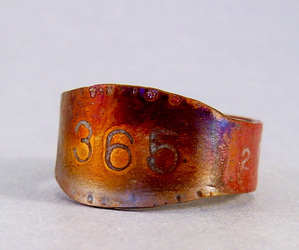 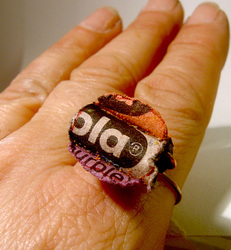 This project was an open challenge to metalsmiths and other artists across the globe to make one ring a day out of any material for the entire year of 2010. 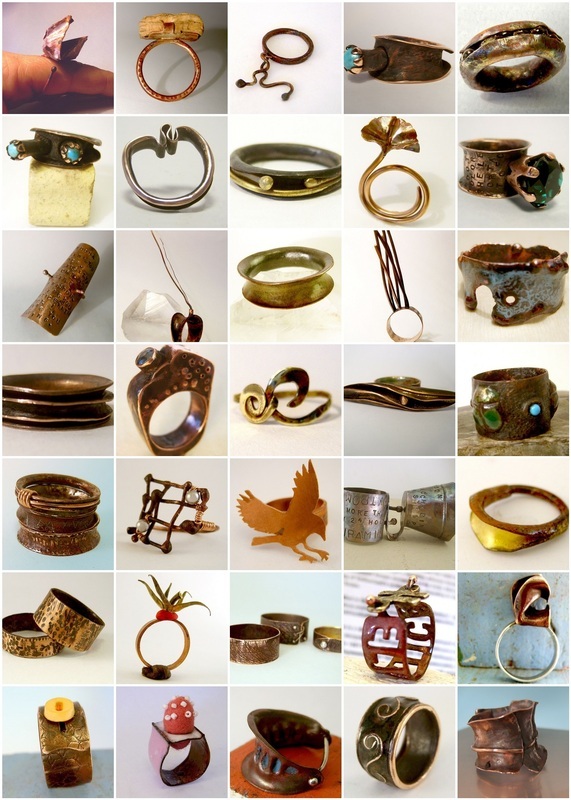 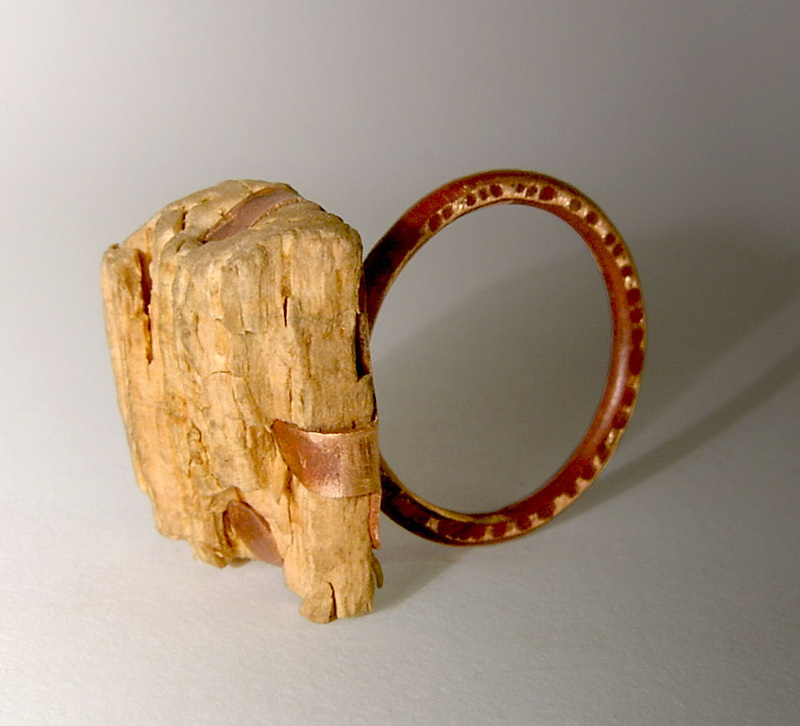 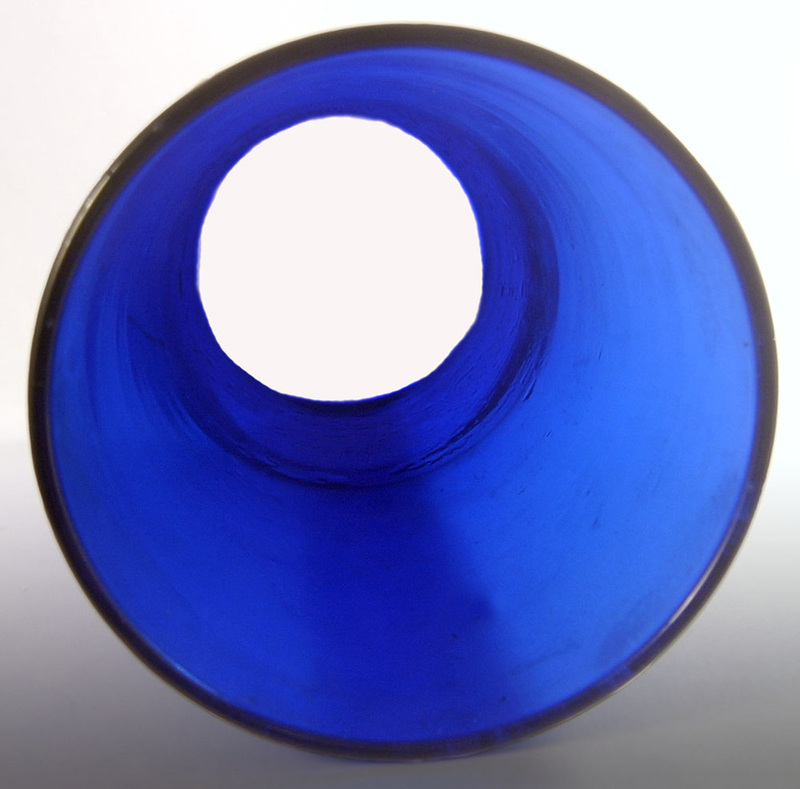 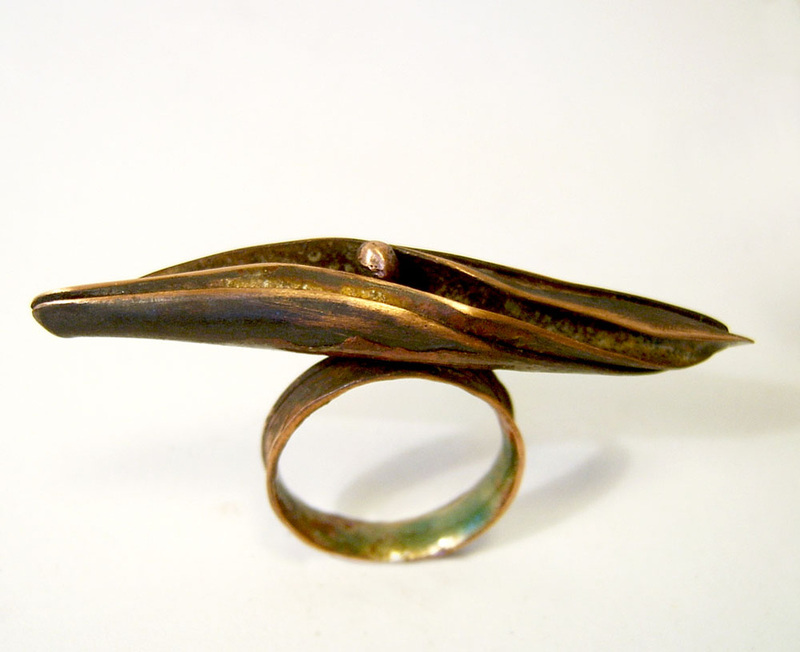 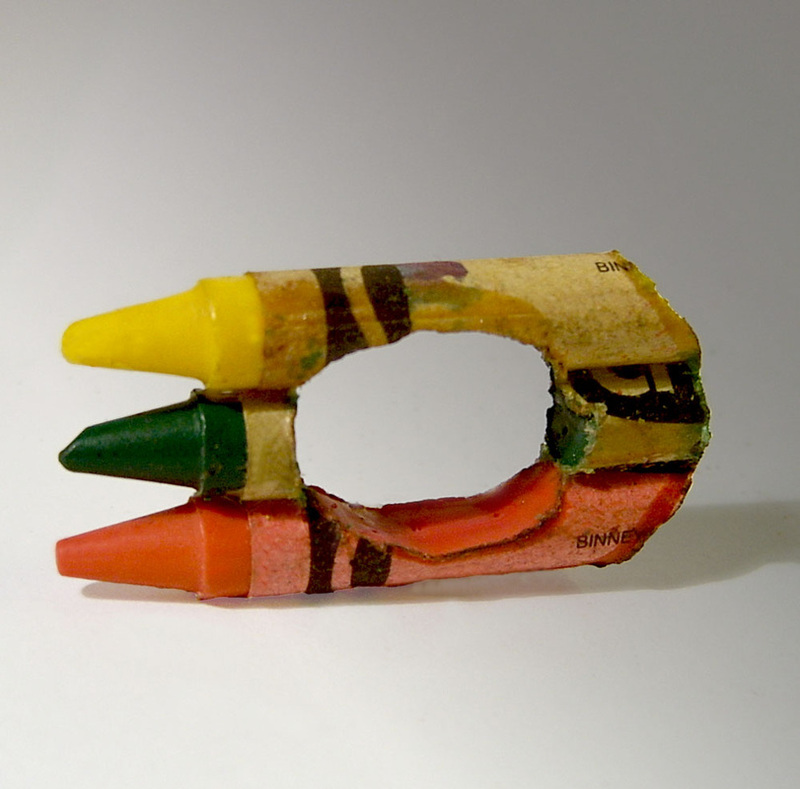 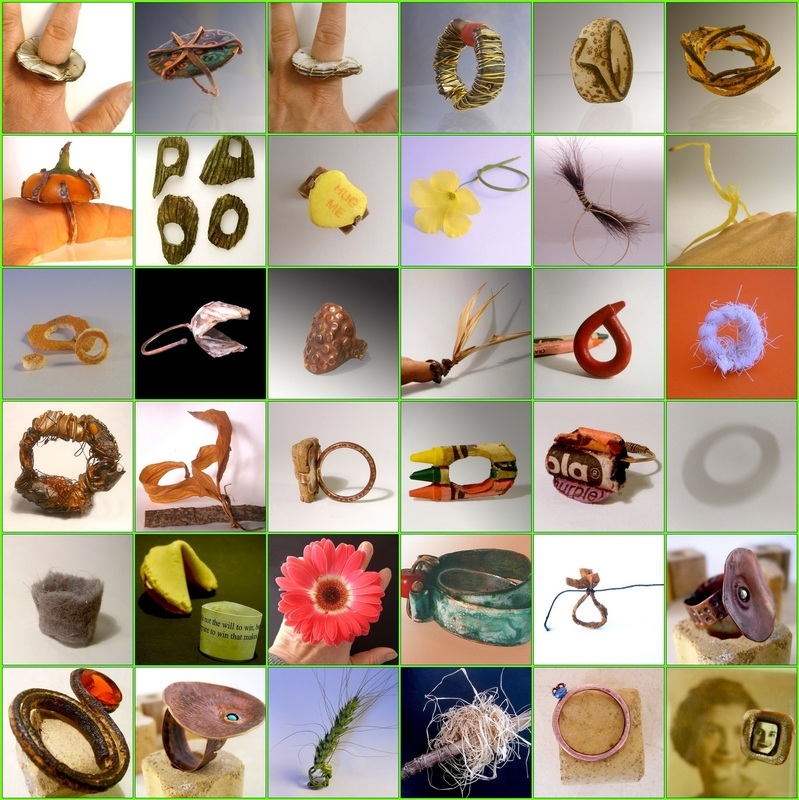 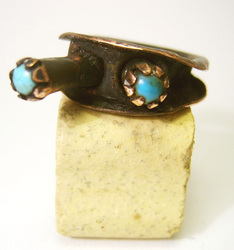 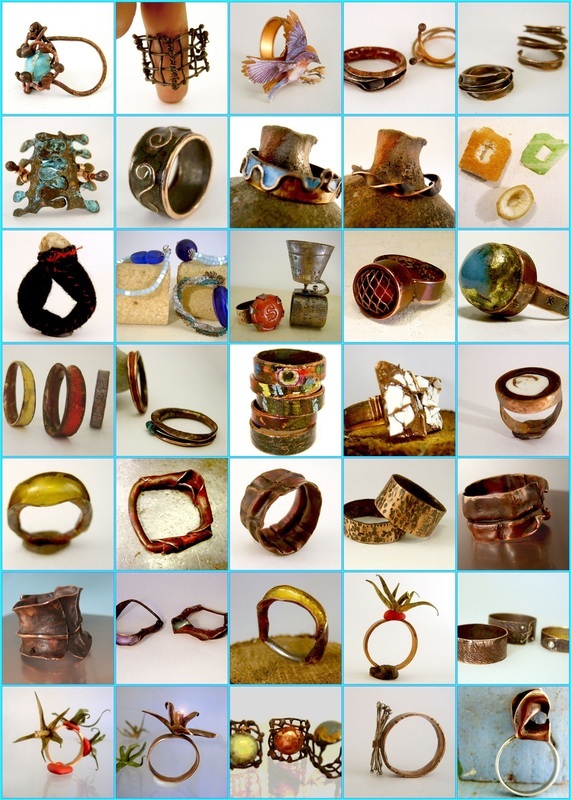 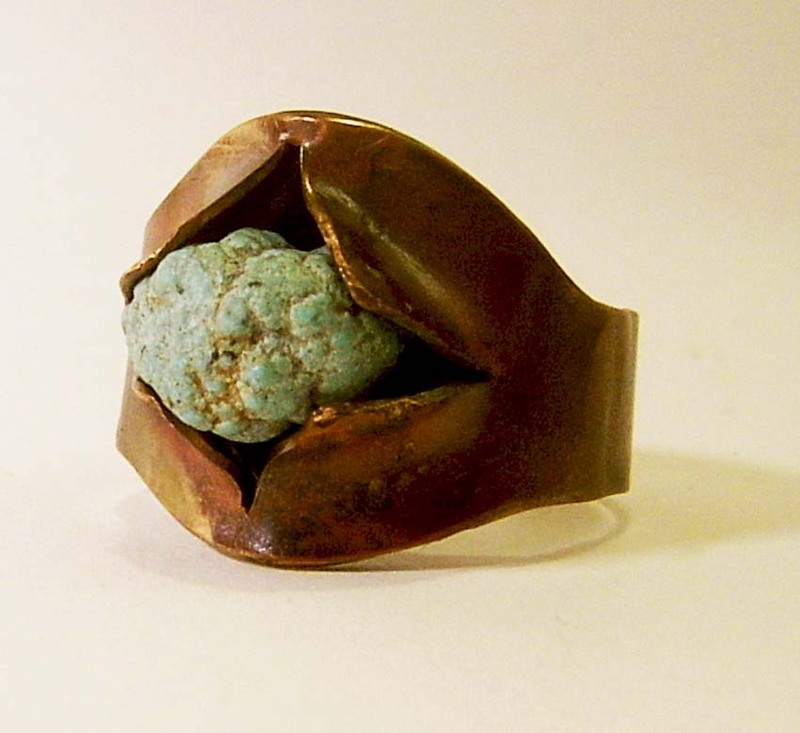 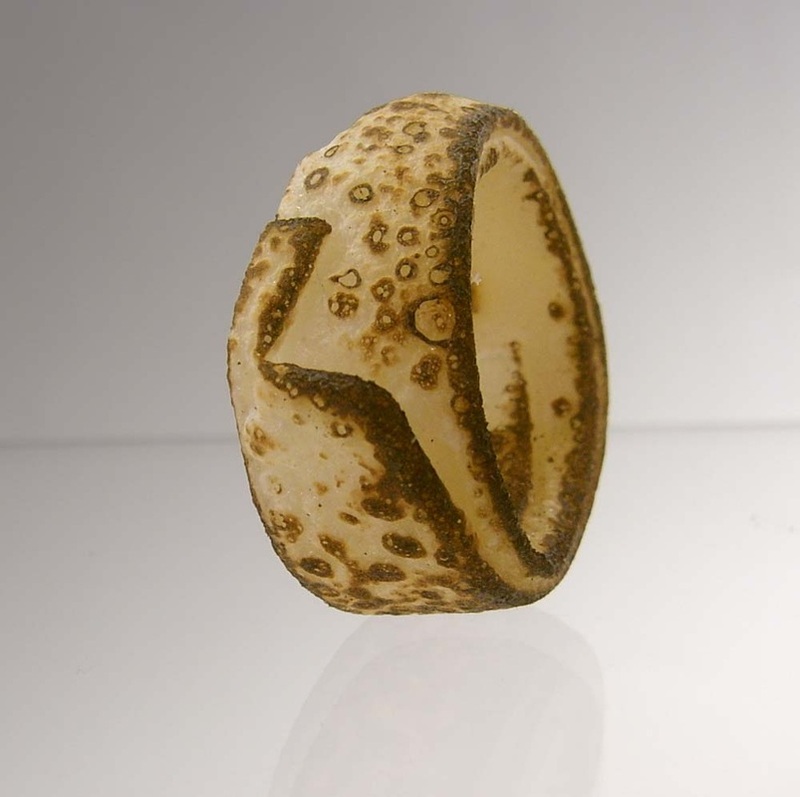 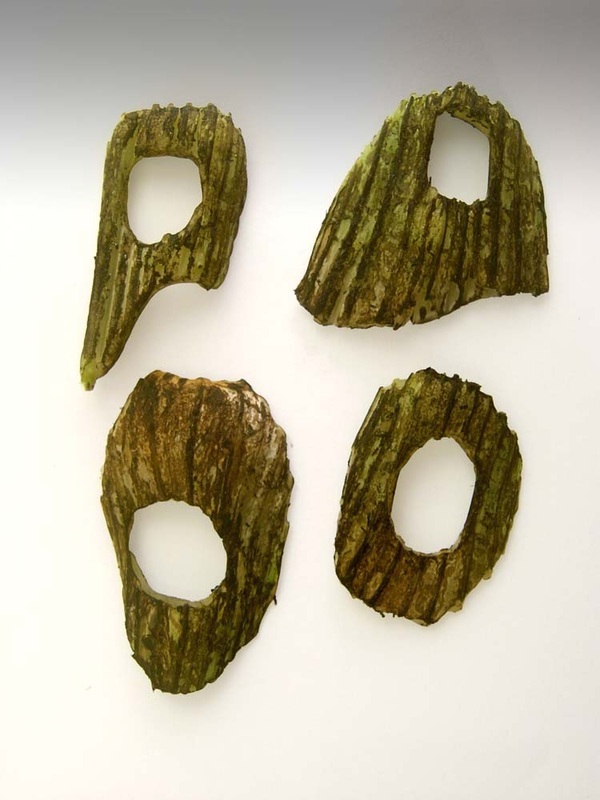 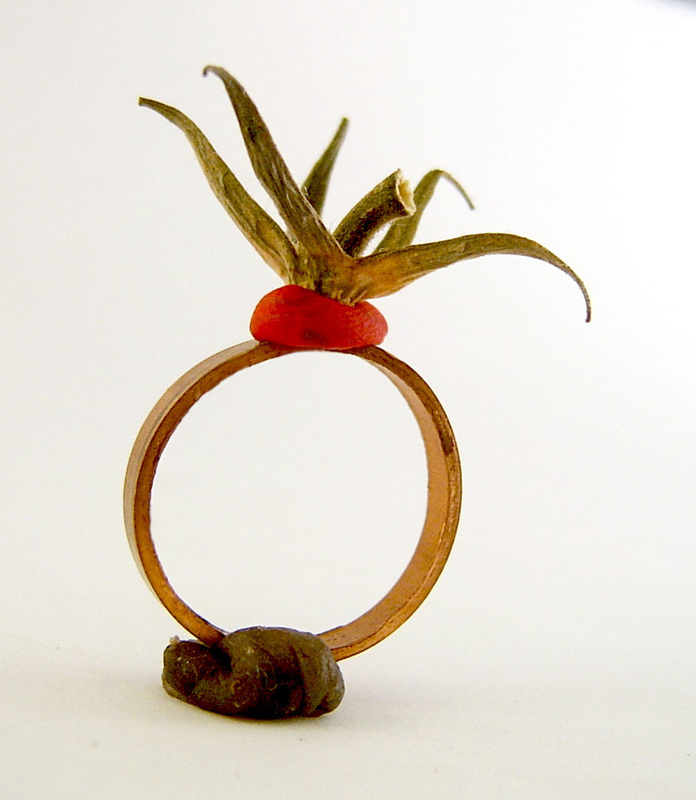 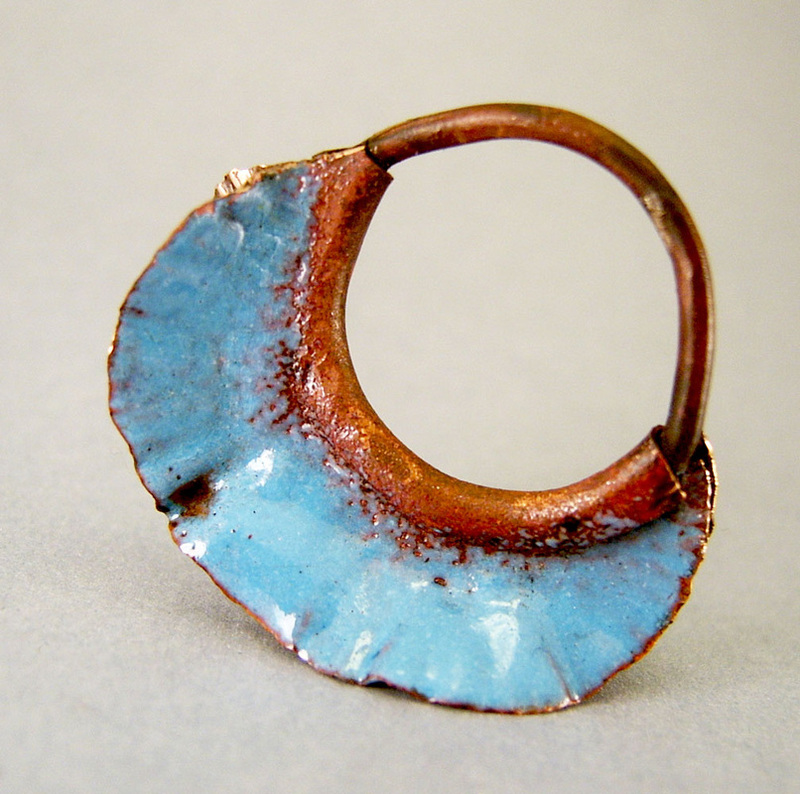 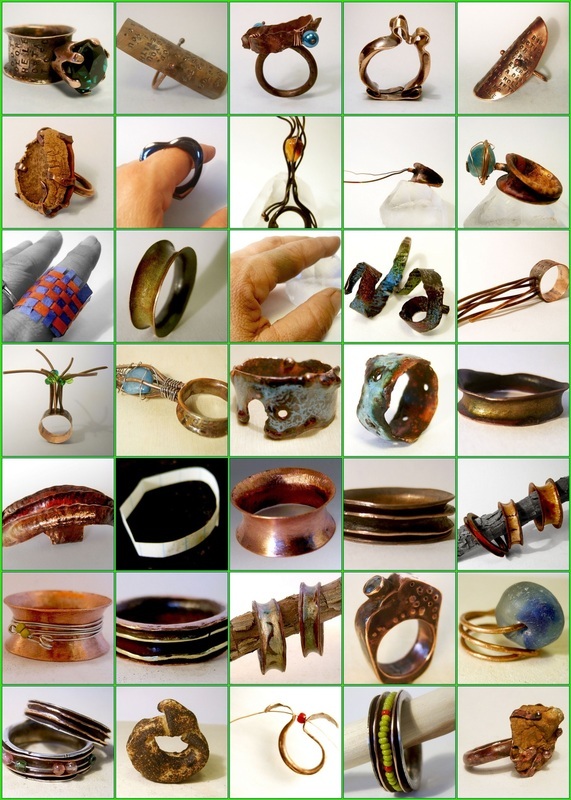 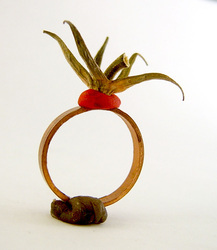 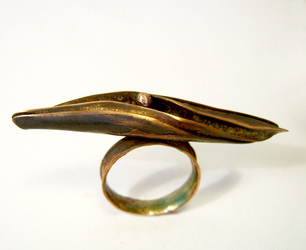 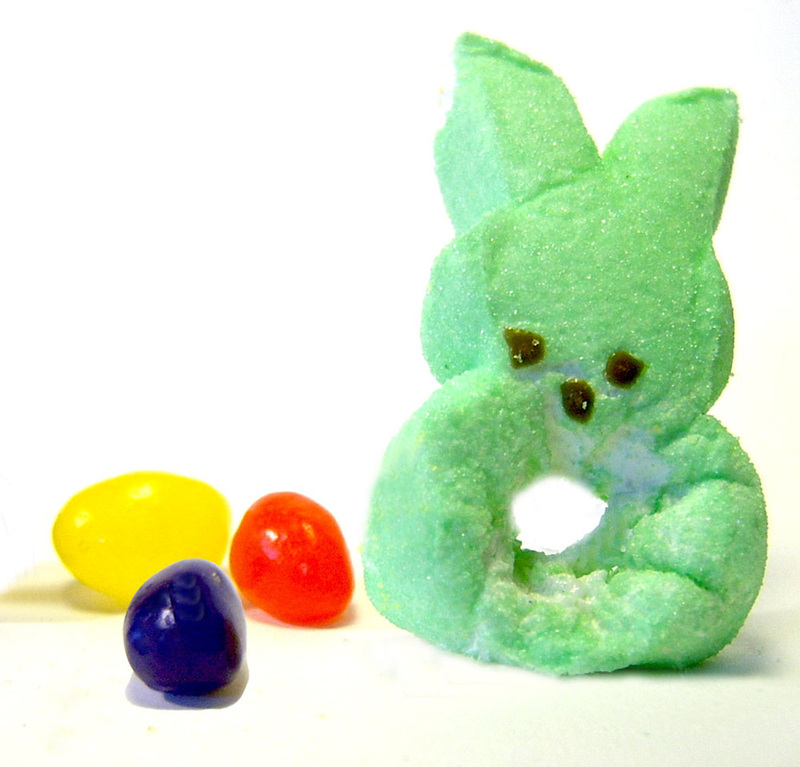 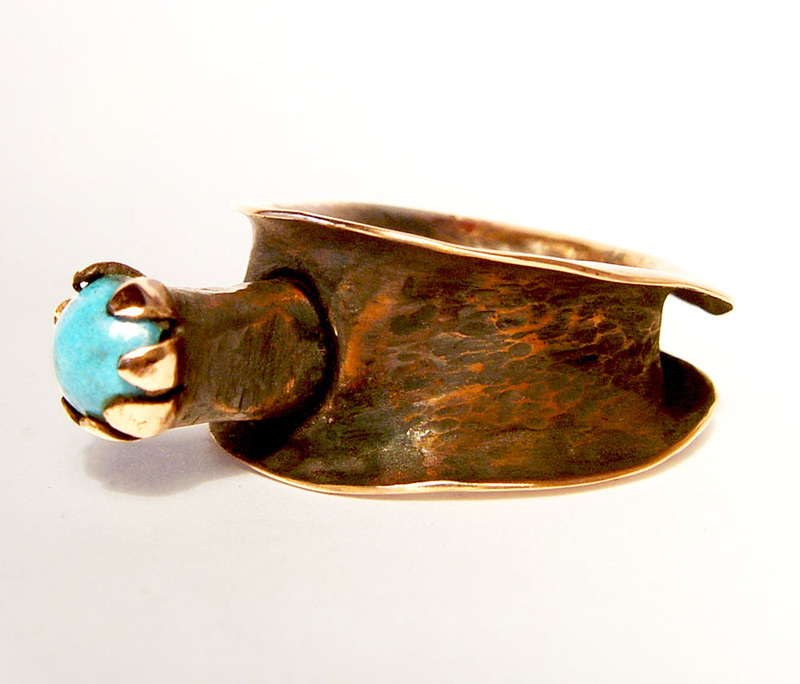 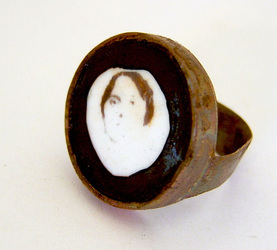 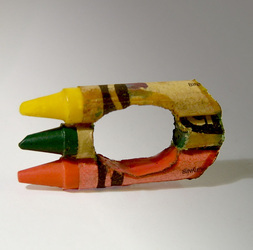 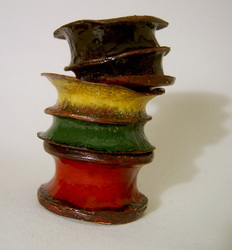 Over the course of the year artists continually added rings, new artists joined the group, ideas morphed into new ideas, artists played off the ideas of other artists, and materials were used in new and unexpected ways. 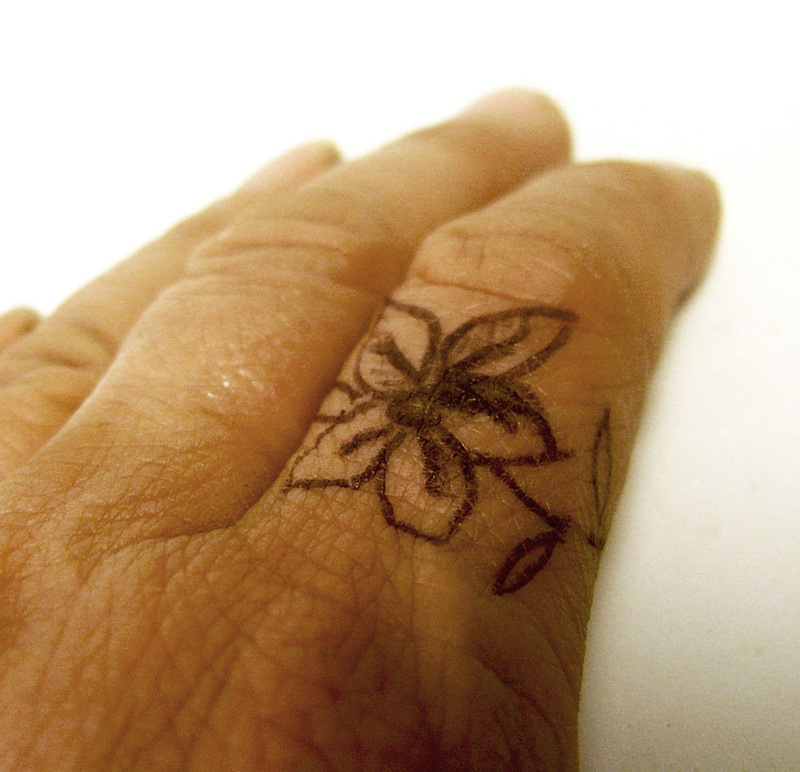 On a daily basis, rings were created, photographed, and posted to the Ring a Day Flickr group. The majority of the artists represented discovered the project through social media networks like Facebook, Twitter, Flickr, blogs and word of mouth. 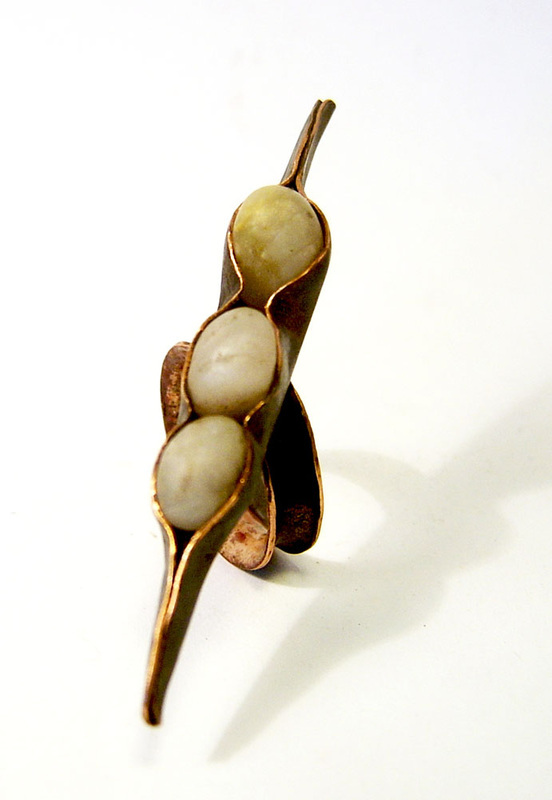 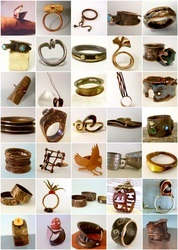 This project reflects a population of metalsmiths and jewelry makers who are facile with current online technology. 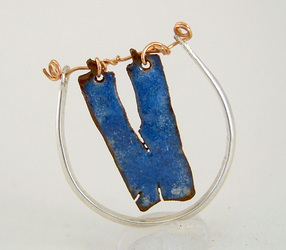 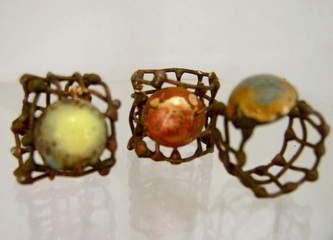 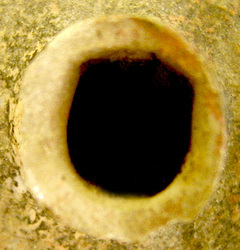 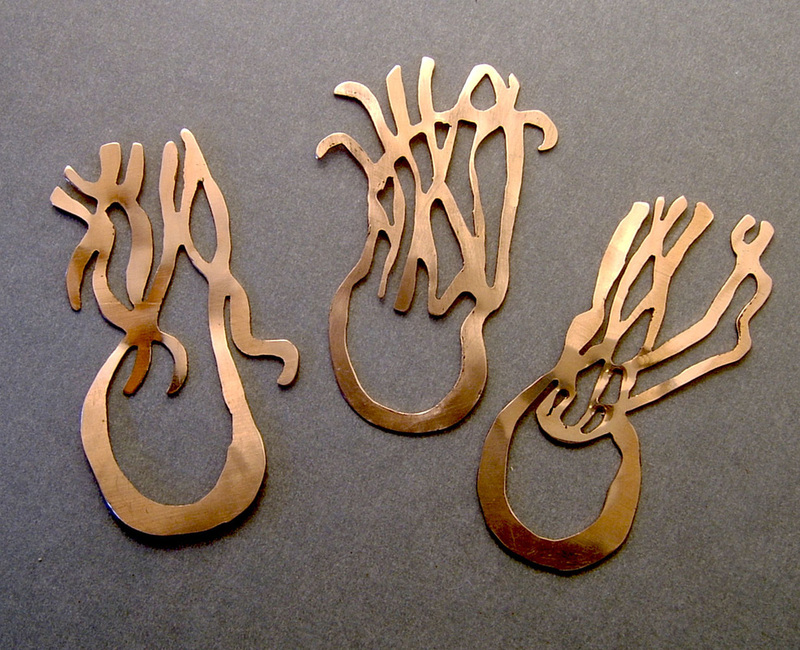 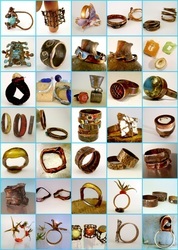 Below is a taste of the 365 rings I made during 2010, to see more go to my Flickr photo stream and to see the work of the whole group go to RAD.